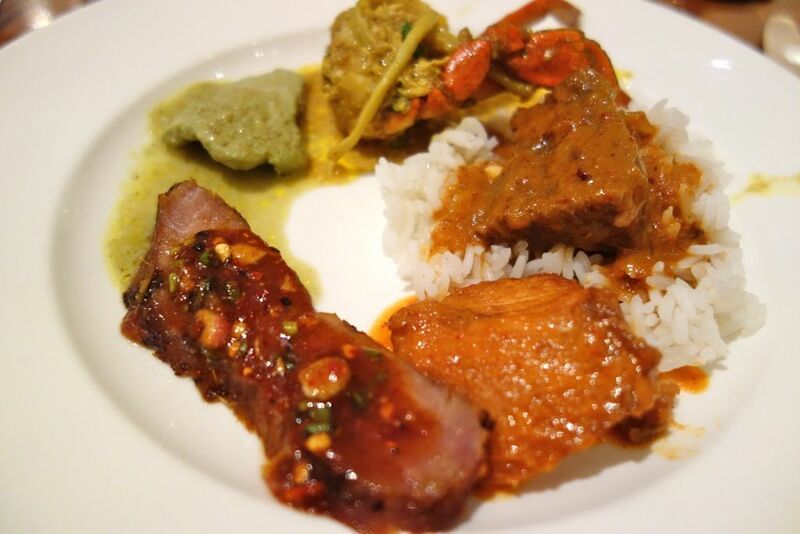 A good buffet line isn't one that has a whole truckload of crappy food but one with a crafted selection of fine dishes. 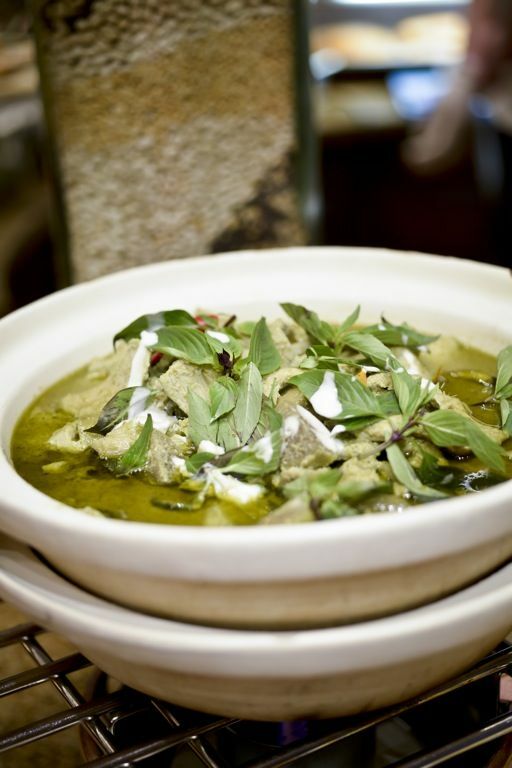 Olive Tree at InterContinental Singapore has just the right ingredients to make it a great buffet line, especially with their best of Thai cuisine offering right now. With two renowned guest chefs from the Thailand Culinary Academy – Chef Surasak Kongsawat and Chef Jareuk Sriaroon, together with a locally acclaimed Thai culinary expert Chef Hansongkhram Chutnapa, Olive Tree is determined to deliver a truly authentic Thai experience from now till 13 October 2013. I started with a sampler of the starters, which award winning and mini celebrity Executive Chef Eric Neo enthusiastically plated for me as he brought me around the line. 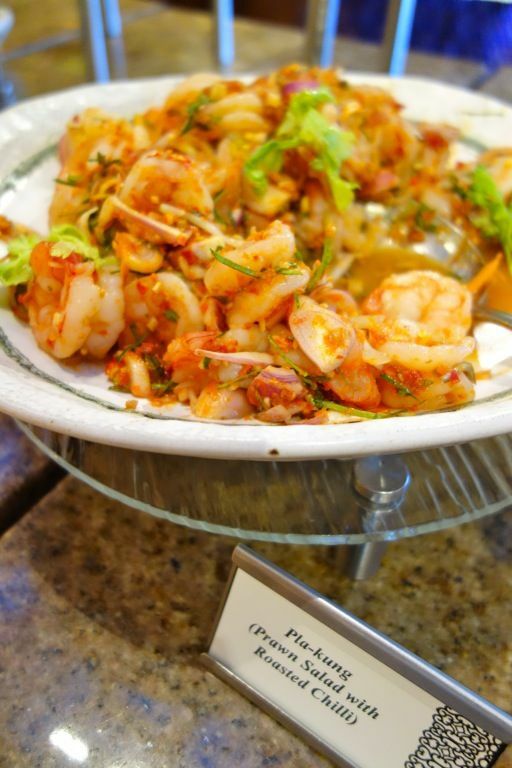 The seafood salads fared well with its mix of succulent prawns paired with pomelo and roasted chili paste. 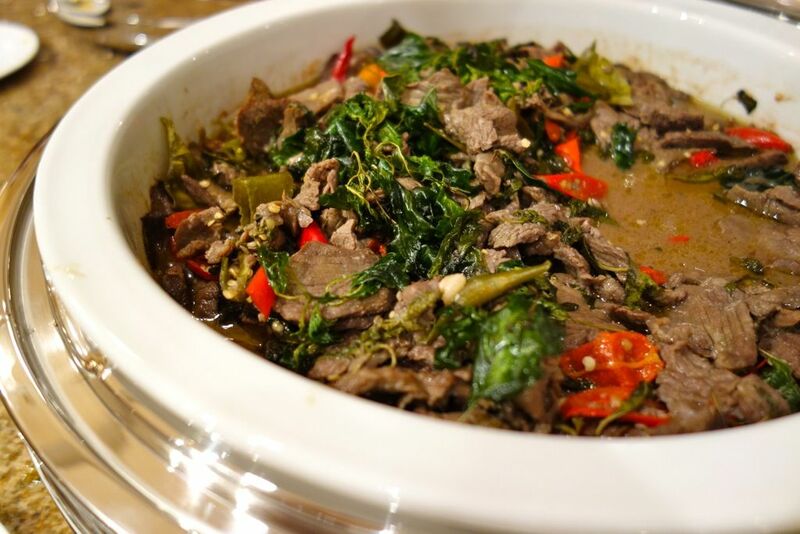 The Spicy Beef Salad was also well flavored with lime, chili padi and fish sauce. For some crunch, try the fluffy Catfish and Green Mango Salad. 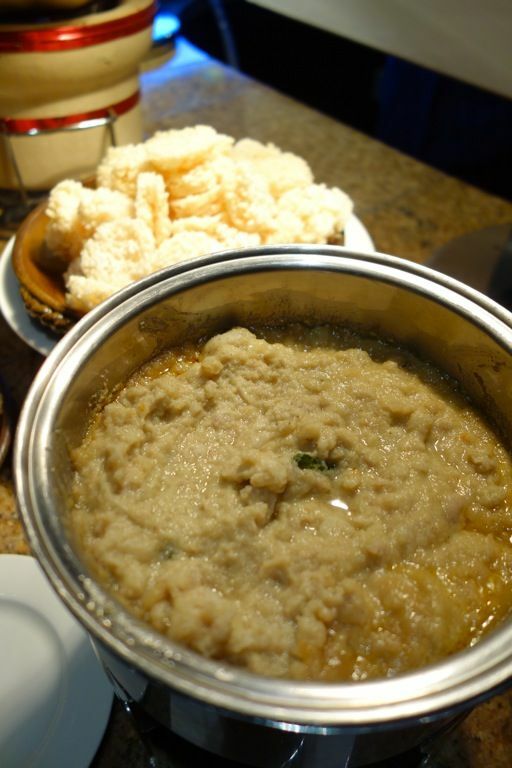 My favorite appetizer was no doubt the Kao Tang Na Tung. It looked like hummus and it even had that grainy creamy texture but this sweet and savory paste was actually minced pork. Slather the crispy rice crackers with this and i swear you wouldn't be able to stop munching on them. For more salads, head over to the Som-Tum bar where you can get your hands on the spicy Green Papaya Salad with fruit, corn, prawns and salted egg. When you're done, move on to the Claypot Curries. There were 4-5 types of Claypot Curries stewing away. The Green Curry Pork was fragrant and minty. I thought it fared better than the Deep Fried Seabass with Red Curry. The best curry was hands down the Beef with Mild Red Curry Sauce Pu-Pad-Pong-Kari! Extremely tender beef in a semi sweet peanut red curry. I could have a huge bowl of rice with this one. Do not miss out on the Kor Moo Yang, a succulent char-grilled pork shoulder with a secret blend of spices. 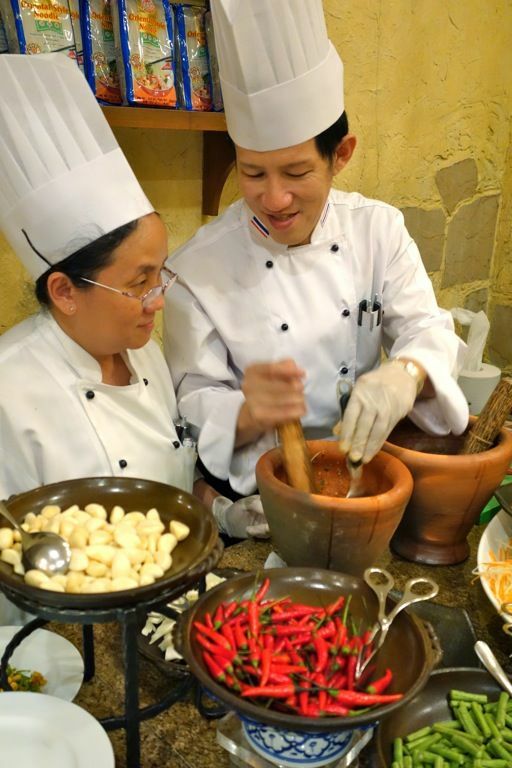 Other classic dishes such as the Stir Fried Beef with Thai Basil, Stir Fried Chicken with Cashew Nuts, Pineapple Fried Rice, Pad Thai and Tom Yum Kung were part of the line up. The tom yum and pad thai could be more fiery though. 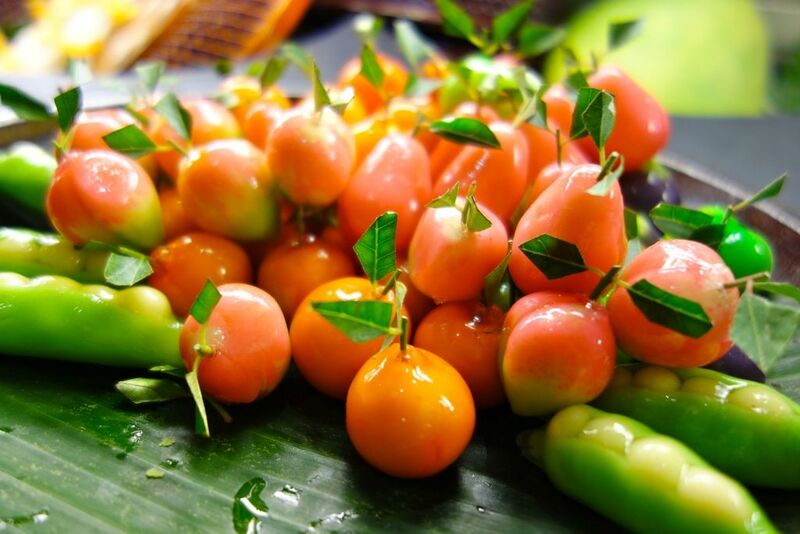 The colourful Lup Chup (fruit-shaped desserts made of mung-bean flour with natural colouring) looked too pretty to be eaten. I've tried them before along the streets of Bangkok but never took to it. I was surprised that these ones were actually tasty. The Red Ruby in coconut milk was a great option after the spicy meal. 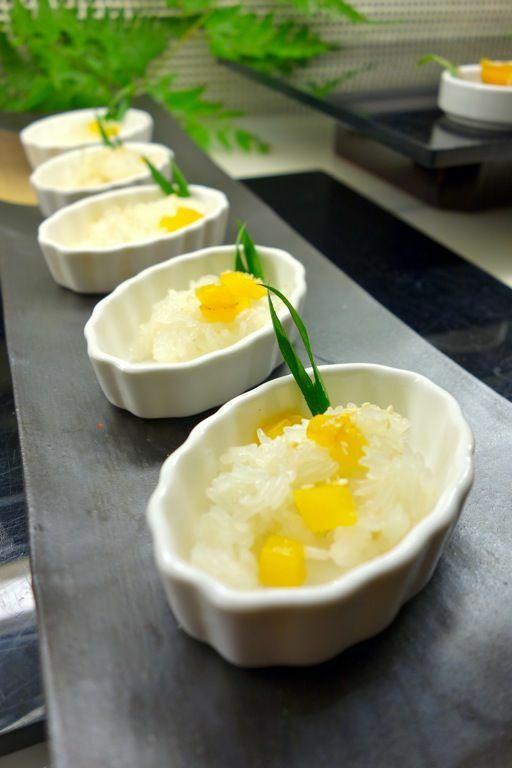 Skip the Mango Sticky Rice and the steamed puddings. You may want to do the international selection of chocolate fondue and cakes if you wish. On top of the special Thai cuisine, there are the regular international seafood, sashimi and dessert section for the added variety. 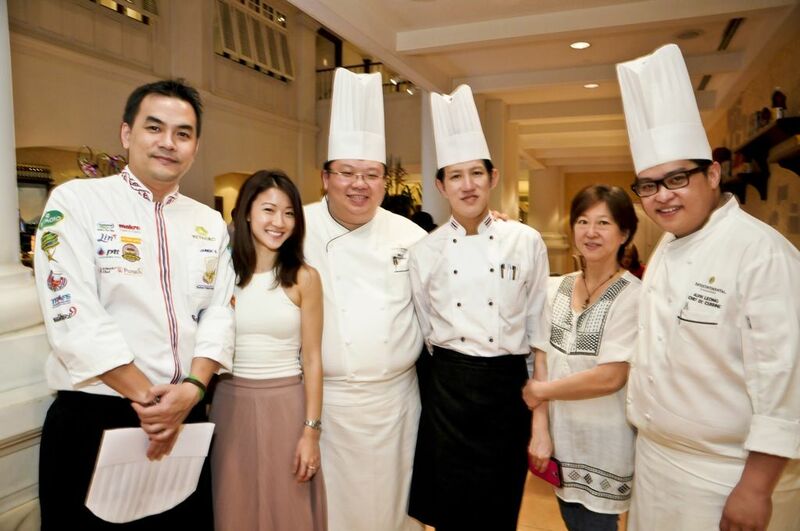 Thank you InterContinental Singapore for hosting me at the Journey to Thailand buffet. Highly recommended if you enjoy Thai food.